Tuesdays are such an exciting day here at BTM. Why? You may be asking yourself. Well, every Tuesday we take a fashion minute to bring you a new bridal collection for you to swoon over, and of course to pin away. And today is no different, my friends! Allow us to introduce you to the new line by the talented Israeli bridal designer Limor Rosen, XO. 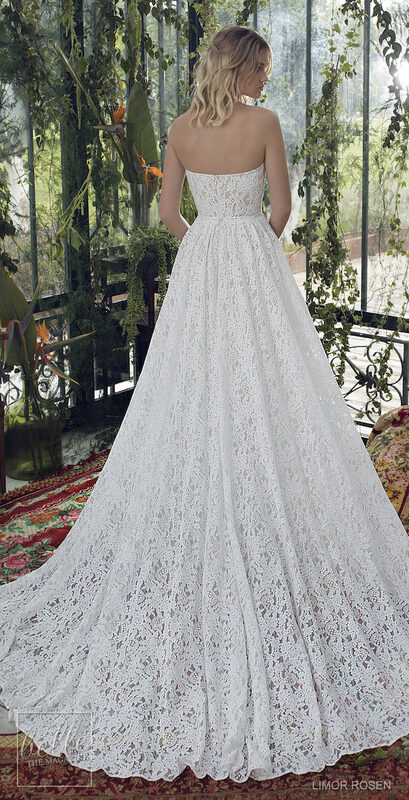 XO by Limor Rosen 2019 Wedding Dresses embodies feelings of freedom and grace, through a bohemian glamour style. Incorporating gentle floral fabrics combined with effortless tulles and silk chiffons, creating a desirable, carefree elegant collection. From beautiful mermaid gowns to boho flowy styles, take a trip with us to bridal wear heaven by visiting the FULL GALLERY. Photos courtesy of Olvi’s. Please contact XO by Limor Rosen for authorized retailers and pricing information.